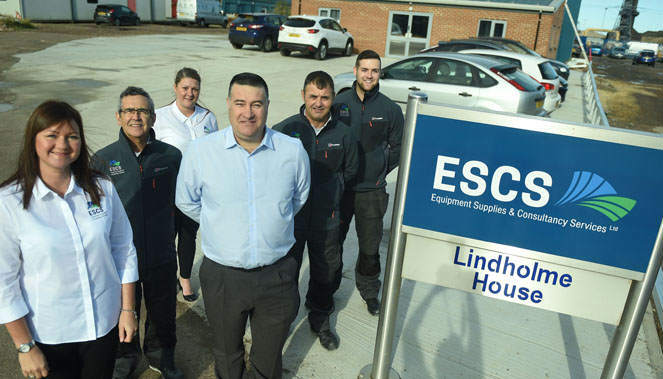 Teesside-based ESCS, a worldwide manufacturer and distributor of surface preparation and surface coating equipment, is building on global successes by opening its first US base. Headquartered in South Tees Freight Park in Middlesbrough, ESCS is opening its new office in Santa Fe, near Houston, as the firm looks to expand its market within the oil and gas sector across North America and the Gulf of Mexico. As part of the move, the firm is lining up a series of demonstrations for major oil and gas firms of its self-designed passive fire protection machines. The specialist machines spray thick coatings of intumescent epoxy materials to protect steel structures from the threat of fire on refineries, chemical plants, fabrication yards and oil rigs. Having achieved a number of global contract wins for its market-leading ES430 system, ESCS has also developed the ES300 TL system for smaller applications and repairs. The five-year-old firm already boasts contracts with main applicators and contractors involved with major oil and gas operators in Australia, Singapore, Indonesia and Azerbaijan among its customers but managing director Shaun McDonald believes the unique ES300 TL could revolutionise the fire protection industry. He said: “The ES300 is a real innovation because it will save so much time. There is nothing like it on the market, and we’re already attracting great interest from China as well as the US. “With so many leading manufacturers based there, it’s clear that Houston is a big centre for the passive fire protection industry, so we see great potential there.